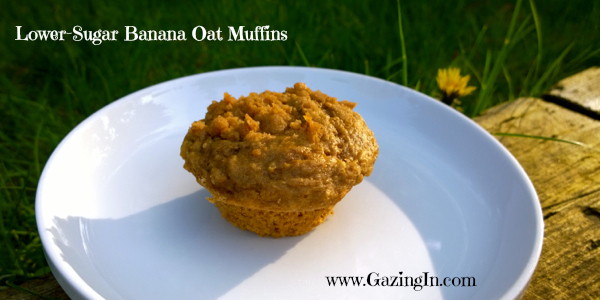 I was looking to make a lower-sugar banana muffin, because many recipes have a cup of sugar for just 12 muffins – which makes that more a cupcake than a muffin…. Just sweet enough to feel like a treat, yet full of fiber from the oats and flaxseed, these also make a great breakfast on the go, and they freeze well. 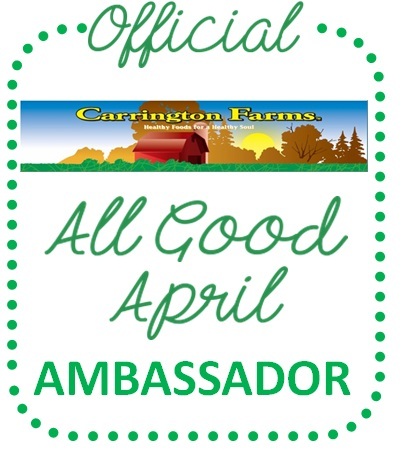 As part of All Good April with Carrington Farms, I came up with these muffins that will be snatched up quickly! All Good April? Many stores throughout the US have specials on Carrington Farms products, so keep an eye out, or visit them online. 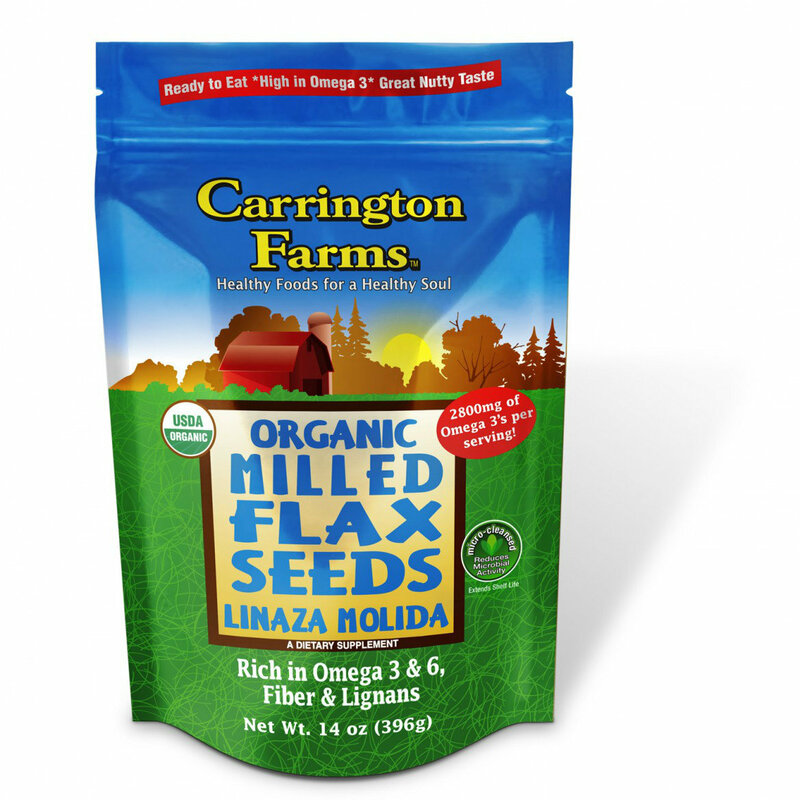 Carrington Farms milled flax seeds are sliced, rather than pulverized, leaving a course flaxseed meal, that works wonderfully in baked goods as an egg replacer. The bonus is that not only do I often replace eggs with flaxseed, but it is also a great addition for fiber and Omega 3. Preheat oven to 375°, liberally spray a 12 count non-stick muffin pan. Whisk flaxeed and water in a small bowl, let sit for 10 minutes. Meanwhile, whisk flour through sea salt in a large mixing bowl. Whisk coconut milk, Sunbutter, banana, oil, vanilla and flaxseed mixture till smooth. Add to dry, stir until mixed. Divide between muffin tins. Mix flour, oil and sugar in a small bowl, till crumbled. Sprinkle over top of muffins. FTC Disclaimer: We received product used in this recipe.